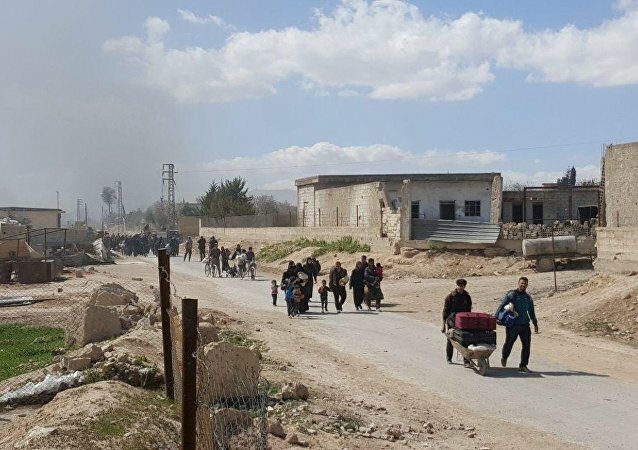 Earlier, Russian reconciliation center for Syria said that a total of 153,140 people have been evacuated from the area of Eastern Ghouta since the introduction of humanitarian pauses on February 28. 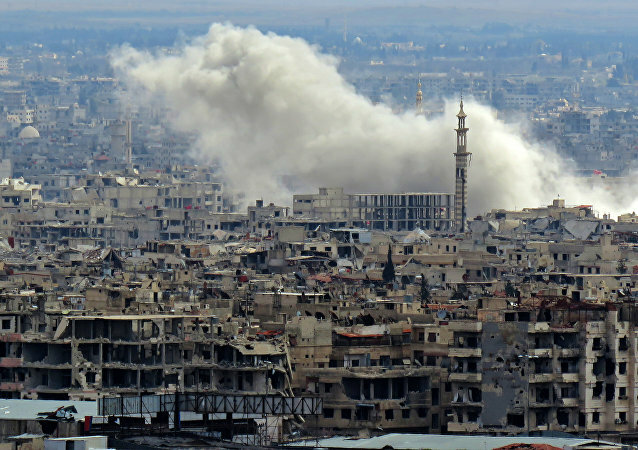 EASTERN GHOUTA (Sputnik) - Over 73,000 civilians have left Damascus suburb of Eastern Ghouta in Syria since the opening of humanitarian corridors, the Russian Defense Ministry's Center for Syrian reconciliation said in a statement. 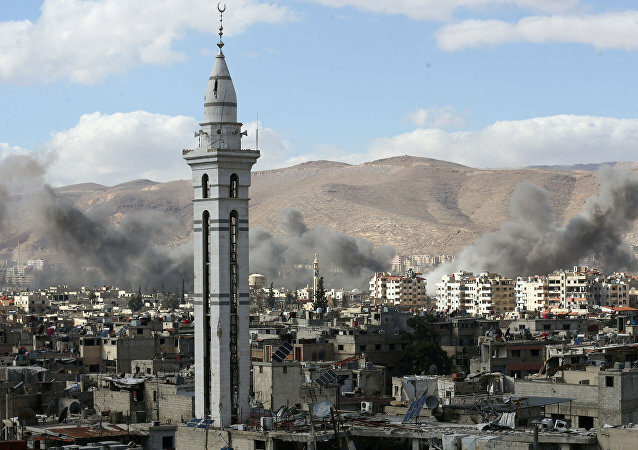 MOSCOW (Sputnik) - The situation in Syria's Eastern Ghouta, primarily around the town of Duma, has stabilized significantly in the past few days, the Russian Defense Ministry said Wednesday. ANKARA (Sputnik) - Turkish President Recep Tayyip Erdogan and his French counterpart Emmanuel Macron held a phone conversation having discussed the humanitarian situation in Damascus' suburb of Eastern Ghouta, local media reported. 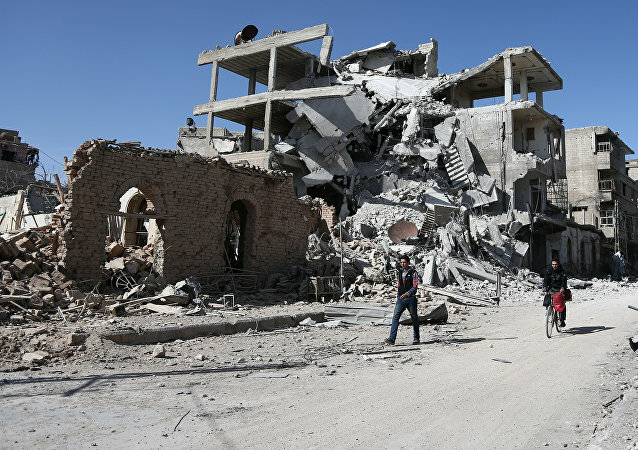 Militants' snipers keep targeting the crossing in Syria's eastern Ghouta, preventing civilians from leaving, the head of the Russian center for Syrian reconciliation, Maj. Gen. Yury Yevtushenko said Saturday. On February 24, the UN Security Council unanimously adopted the resolution 2401 that urges all parties to the Syrian conflict to immediately stop all clashes and adhere to a long-term humanitarian pause across the entire territory of Syria in order to safely supply humanitarian aid and evacuate injured people. 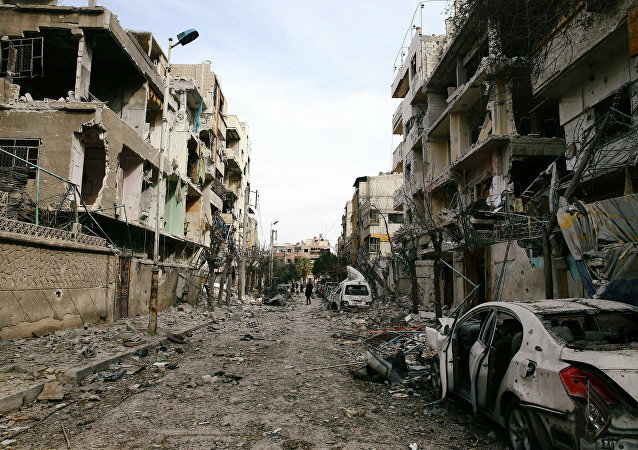 Fighting in the Syrian region of Eastern Ghouta, located on the outskirts of Damascus, continues despite the adoption of the United Nations Security Council resolution 2401, which demands the parties of Syria’s conflict to cease fire without delay for at least 30 consecutive days. 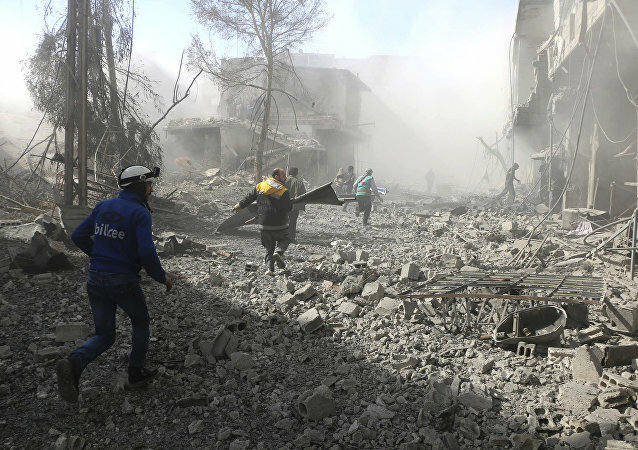 Military strikes in the last two days have killed at least 30 people in Eastern Ghouta, the besieged suburb of Syria’s capital Damascus, where the United Nations is attempting to arrange a cease fire, UN Security Council spokesman Stephane Dujarric told reporters on Monday. US Ambassador to the UN Samantha Power attacked Russia, Iran and Damascus for alleged "carnage" in Aleppo equating the countries' efforts to liberate the city to the Rwandan genocide. Russian envoy Vitaly Churkin's asked Power to stop pretending to be "Mother Teresa" and remember the role the US played in the Syrian crisis. 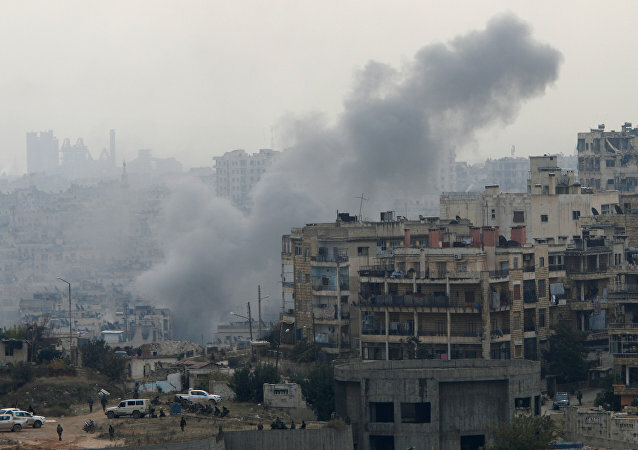 The United Nations is alarmed by reports of renewed fighting in Aleppo despite the announced ceasefire and calls for an urgent pause to allow civilians leave the city, a spokesperson for the UN Secretary-General, Stephane Dujarric, said at a press briefing on Wednesday. 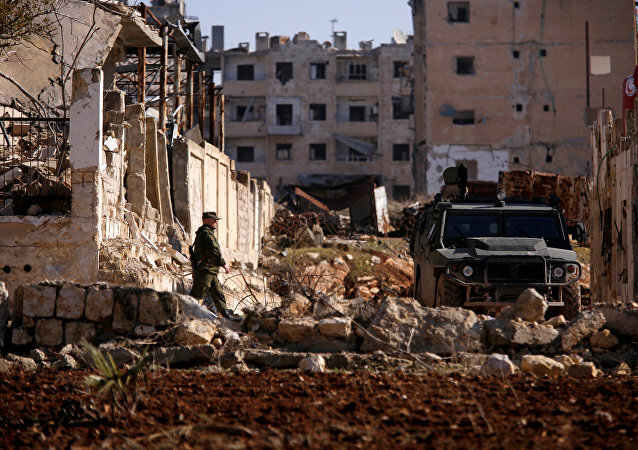 Russia and the United States are discussing the possibility of introducing a new humanitarian pause in Syria’s Aleppo, as well as the fight against terrorists in the country, Russian Deputy Foreign Minister Mikhail Bogdanov said Thursday. The leaders of Germany, France, Great Britain, Italy, Canada and the United States in a joint statement urged Russia and Iran to influence the Syrian leadership over the situation in Aleppo. 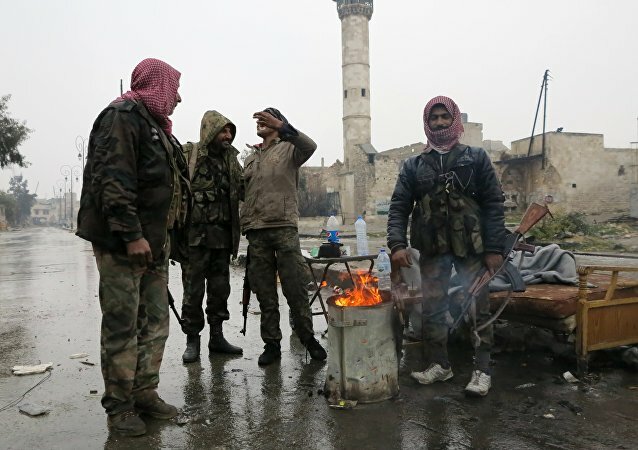 Militants in eastern Aleppo have offered the Syrian army a new five-day humanitarian pause as they keep losing ground, Syria's ARA News reported Wednesday citing a local source.